Please join us in honoring our 2018 Section award winners! 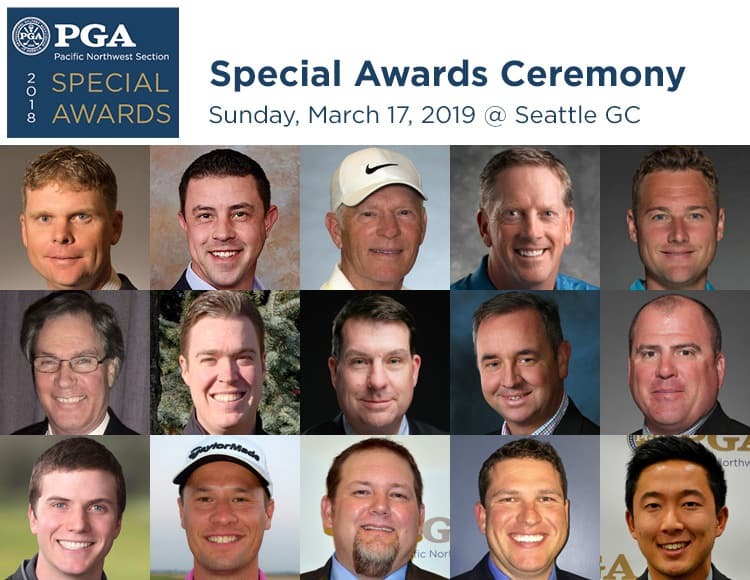 All Members and PGA Associates and their friends and families are invited to attend, enjoy a spaghetti buffet and celebrate the accomplishments of your fellow members. The club’s bar does not accept direct payment of any kind, but you may purchase drink tickets via card in advance with this form, or with cash at the PGA table at the club.